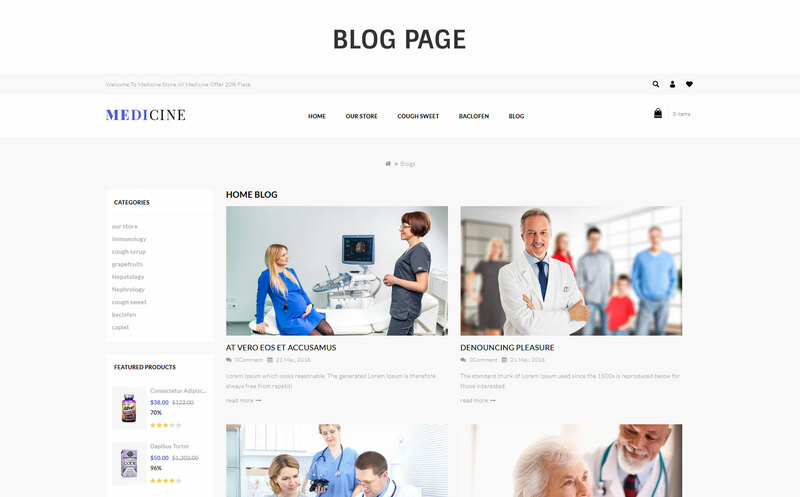 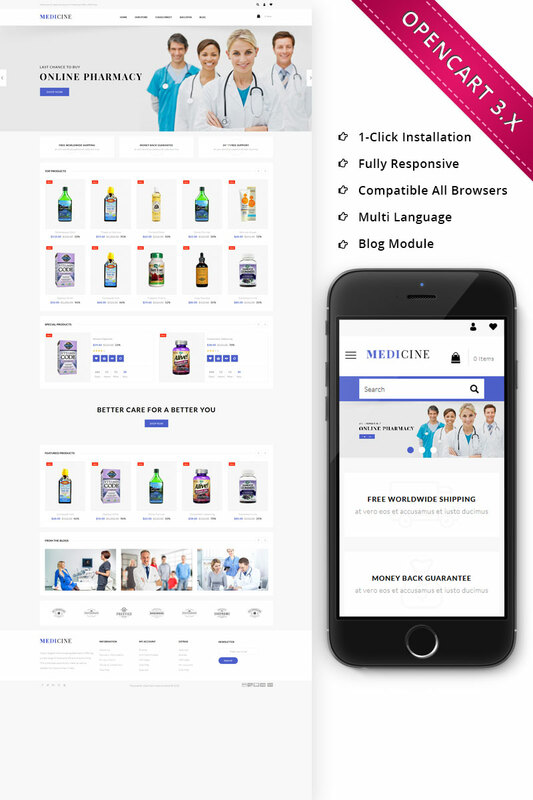 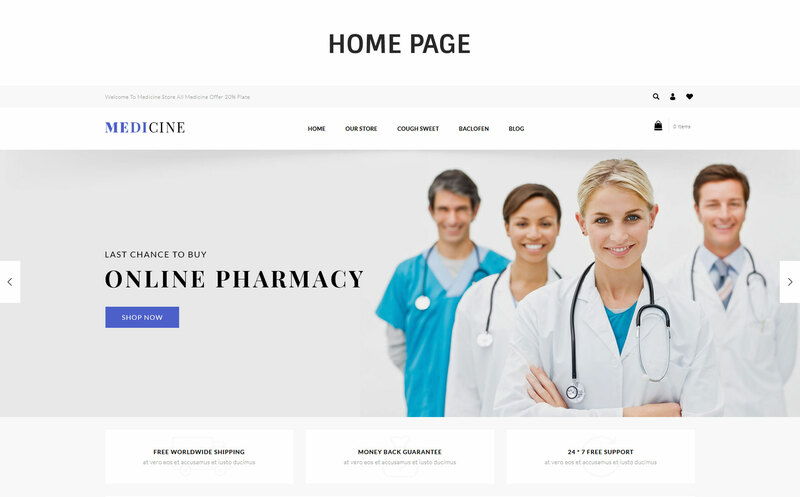 Medicine Store Responsive Opencart template is store that sells health care products and medicine. 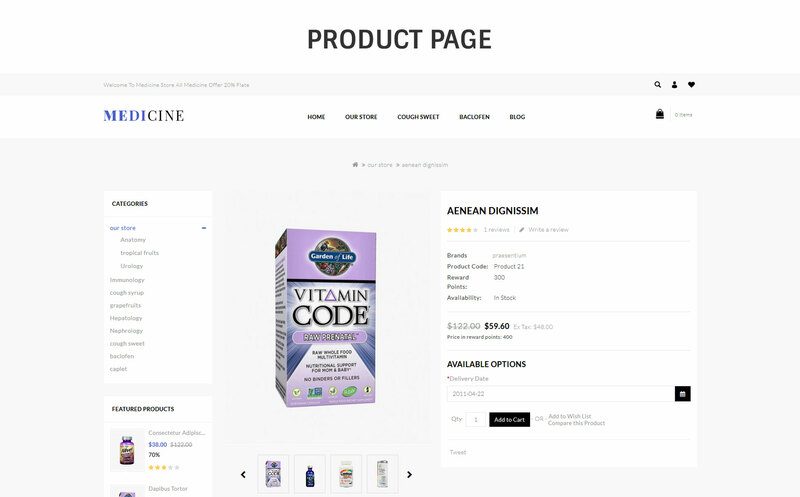 Customers can buy both over-the-counter and prescription medication at a drug store. 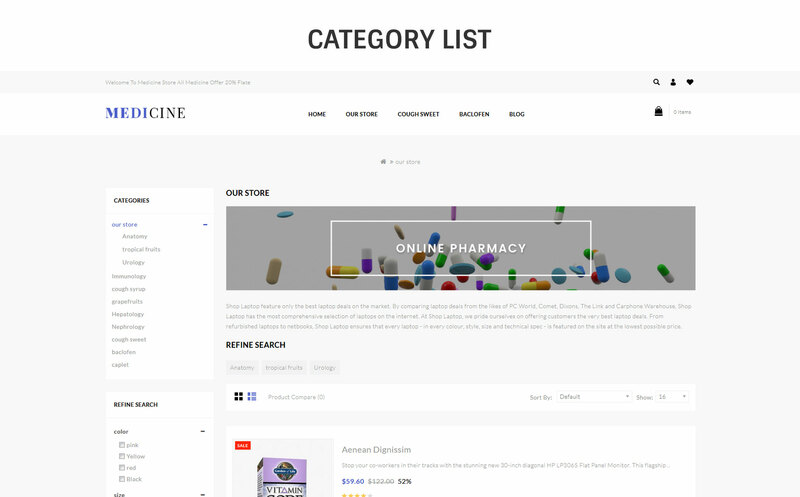 It is not uncommon for drug stores to carry other frequently used household products and merchandise. 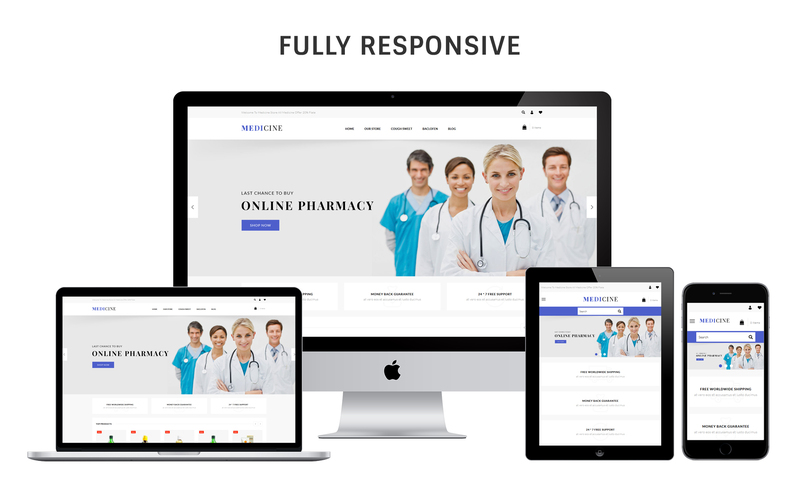 It is fully responsive theme that has been tested in various media device like i-phone, i-pad and other mobile devices.